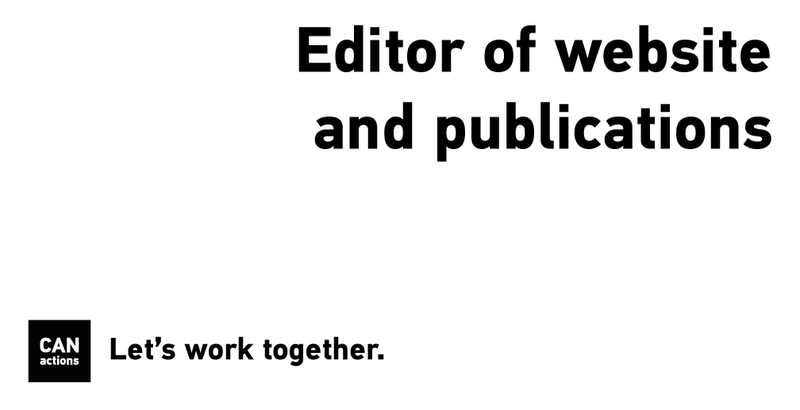 We are looking for qualified editor who would plan, develop and oversee all printed and digital publications produced by CANactions and manage CANactions website. ■ ability to produce clear and detailed terms of reference for designer, publisher or web developer and ensure quality of produced publications. Test. Suggest and plan an interview with prominent expert in the field of Architecture & Urbanism. Expected product – a document that explains the choice of expert, provides short bio of the expert and summary of previous interviews with her/him, suggests topic and list of questions for interview and provides recommendations in regards to style, format of the interview and destination (media that would publish it). Format: single PDF file in English.